Courtney Joy Stevens of Courtney Joy Floral will teach you how to plan and grow a cut flower garden. 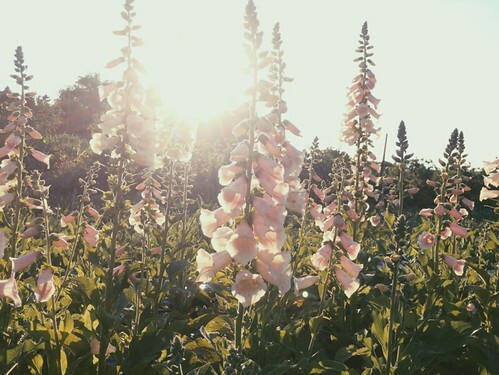 From seeds, tubers, and bulbs to cutting armfuls of fresh blooms, she will give you the information you need to grow your own bouquets this summer. She’ll share tips on where to source the materials you need, useful tools, and the easiest cut flowers to grow in Southeastern Wisconsin. Bring your questions and then head home to start your very own cut flower garden. Courtney Joy Stevens enjoys creating with flowers to bring people a heightened awareness of the natural world. Through her business, Courtney Joy Floral, she grows flowers and makes flower designs. She lives and works from Three Brothers Farm, which she owns and operates with her husband, Michael Gutschenritter, in Oconomowoc, Wisconsin. Together they grow flowers and vegetables, raise Shetland sheep for wool, and have too many chickens, a livestock guardian dog named Freja, and two cats. Fee: $18/$16 members for one parent & child - includes your choice of Under A Painted Sky or Outrun the Moon (one book total), refreshments, and admission to the sculpture garden (come early to stroll the grounds). Single or additional adult: $14/$12 members. Additional child: $6/$5 members (no book included). Register by phone at 414-446-8794. Lynden Sculpture Garden's Women's Speaker Series and Boswell Books welcome author Stacey H. Lee to the Lynden Sculpture Garden, Saturday, April 6, 2 pm. For more information on upcoming Women's Speaker Series Events, click here. 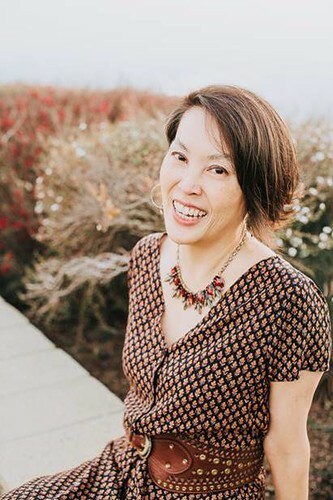 Stacey H. Lee is the author of Under a Painted Sky, Outrun the Moon, The Secret of a Heart Note, and the forthcoming The Downstairs Girl (August 2019). A fourth generation Chinese-American whose people came to California during the heydays of the cowboys, Lee believes she still has a bit of cowboy dust in her soul. A native of southern California, she graduated from UCLA then got her law degree at UC Davis King Hall. After practicing law in the Silicon Valley for several years, she finally took up the pen because she wanted the perks of being able to nap during the day, and it was easier than moving to Spain. She plays classical piano, raises children, and writes YA fiction. Please visit her website at www.staceyhlee.com.